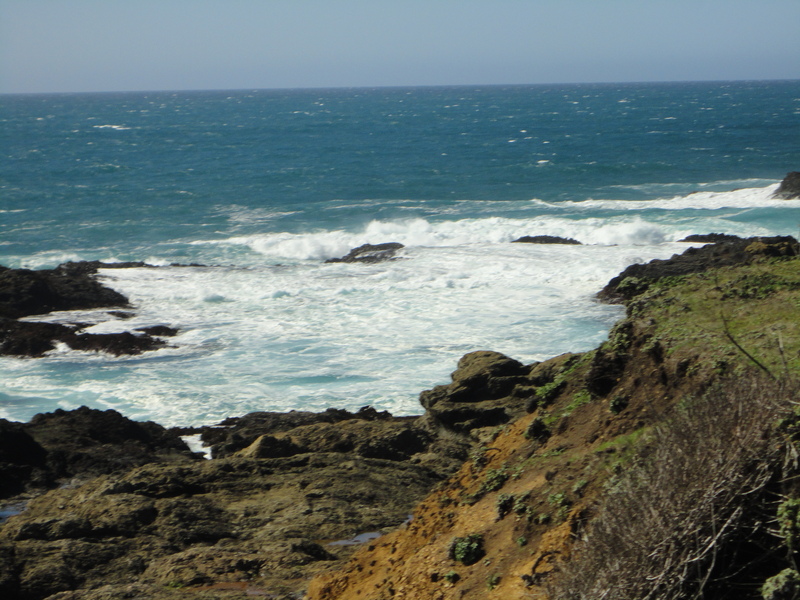 Once we got off the Skunk Train and back on land, we headed to Mendocino and walked around town. Ok, this is weird. I took a couple books with me to enjoy during the vacation days. And the one I chose to read was, coincidentally about Mendocino. As we were walking around town I saw a store called Corners of the Mouth. The name stuck out with me because I wondered how mouths could have corners. But one of the people in the fiction story worked at Corners of the Mouth. We passed a small Baptist church. 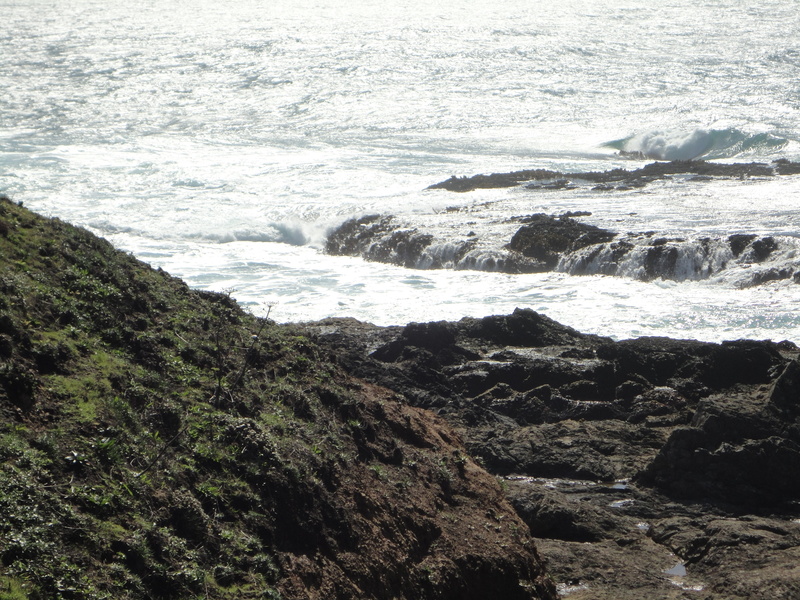 We then started back to Fort Bragg with a stop at the Point Cabrillo lighthouse. 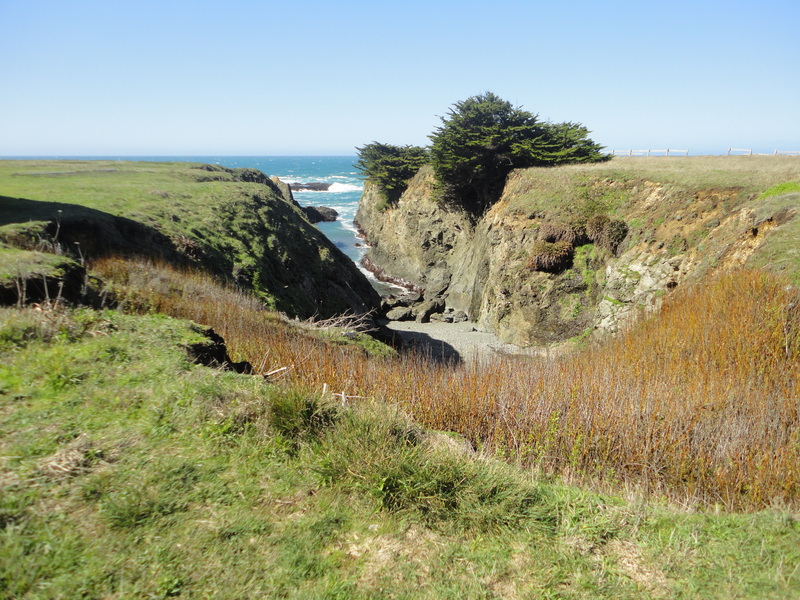 Actually it was when an opium brig wrecked off Point Cabrillo back in 1870 that led to the exploration of the area and the discovery of the nearby redwood forests and thus the beginning of the lumber camps in the area. 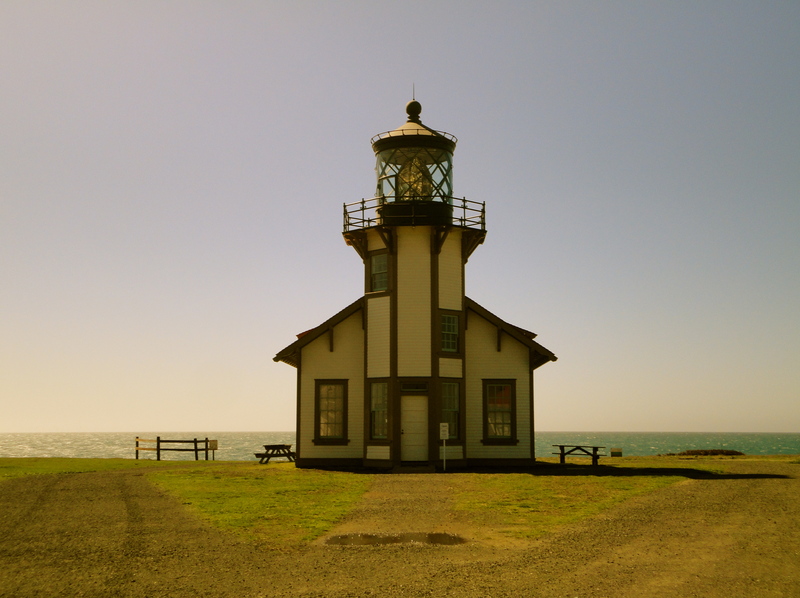 The lighthouse was built in the early 1900s and started service in 1908. The parking lot is about a 1/2 mile from the light itself – so first you walk to get to where you’re going. The wind was still whipping around and the closer we got to the point, the whippier it got. I have seen beautiful lighthouses (the one we lived by in Racine is one of the best) – this lighthouse was more on the “cute” side (if lighthouses can be cute). However, the point itself was beyond compare. 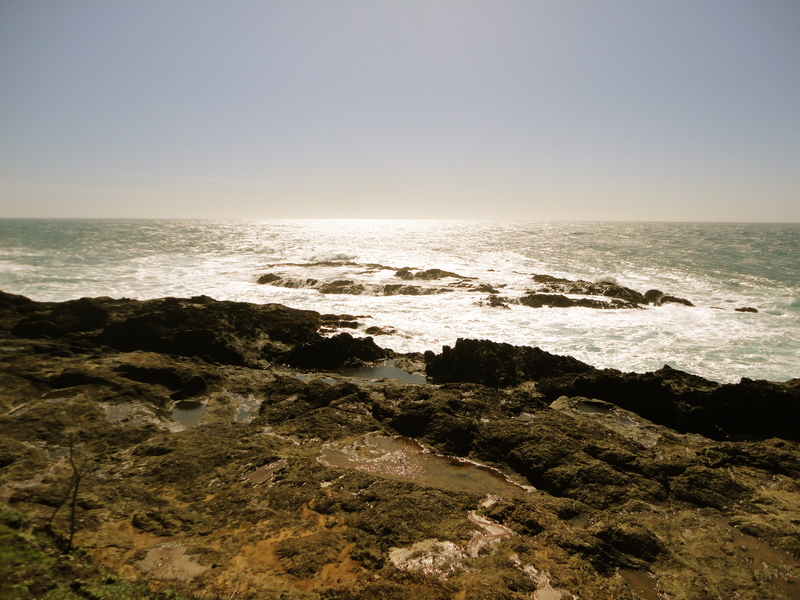 Standing on the edge of the bluff overlooking the Pacific and listening to the waves splash against the rock was beyond compare. I think heaven will have some scenes like that. I wish I could have put it all in a box and brought it home. Pictures don’t begin to tell the story.